Hi there! 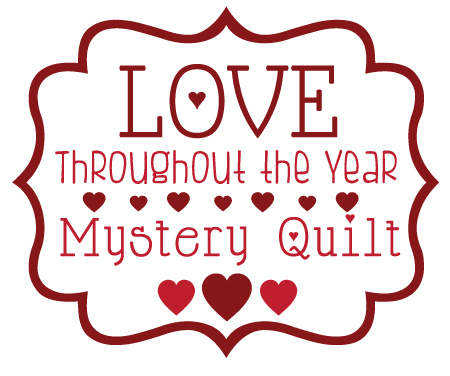 Welcome to week four for the Love Throughout the Year Mystery Quilt! I am so happy that you are sewing along with me! If you are following along and want to post pictures on instagram use the hashtag: #lovethroughouttheyear so I can see your photos! Have tried to download the last 2 blocks and it will not allow me. I reset to allow pop ups but it still will not work. It comes back as a non safe site. I have never had any problems with this till just recently. Don't know what else I can do. Hope others are not having the same problem as me. Just found this on a Facebook group... you are so enterprising!! 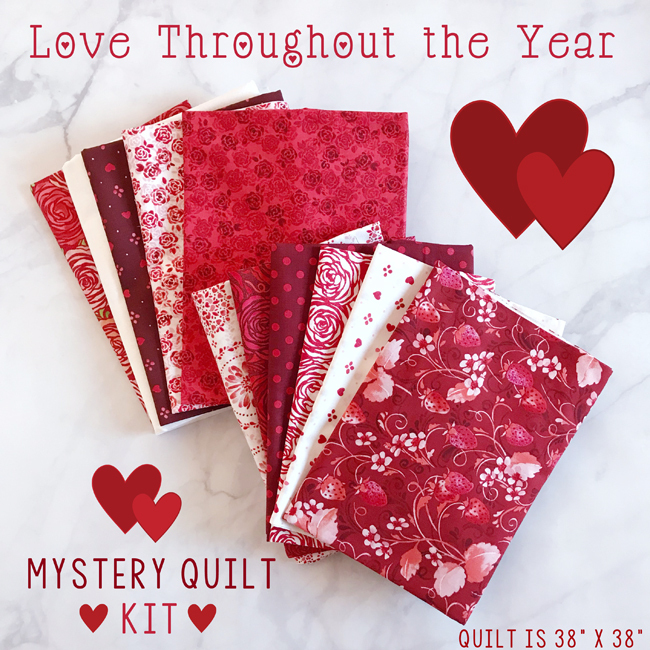 Love your site.... love LOVE!! 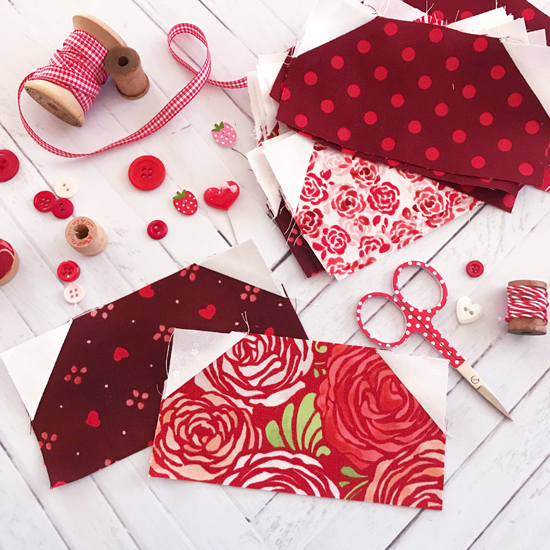 Wonderful blocks, I’d like to know where to buy the fabric.